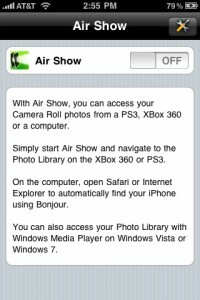 With Air Show, you can access your iPhone or iPod Touch Camera Roll photos from a PS3, XBox 360 or any supported UPnP device. 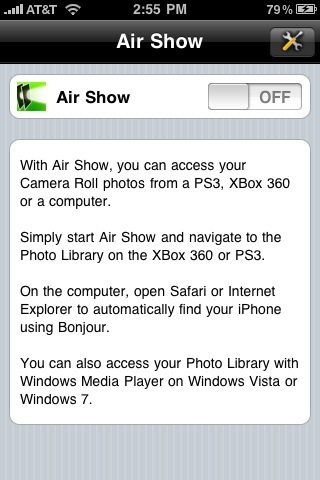 Simply launch Air Show app, turn it on and navigate to the Picture Library on the XBox 360 dashboard or the Photo menu on the PS3. 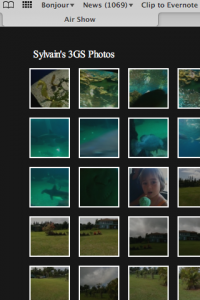 From there, you can view individual images, start a slideshow or even download the photos onto the console for later viewing. 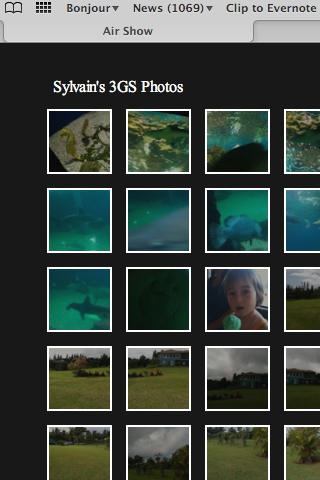 You can also access your photos on any internet enabled computer by typing the url provided in a web browser. 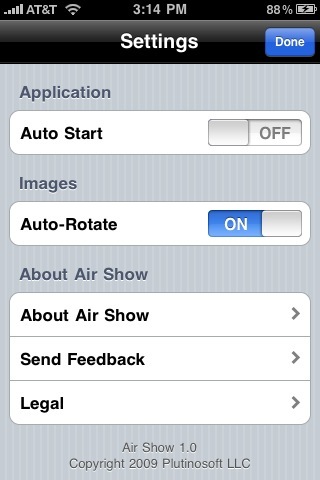 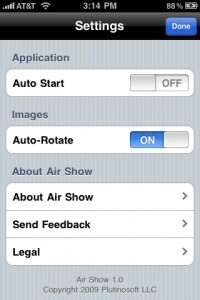 If you use Safari or Internet Explorer, you can automatically discover Air Show via Bonjour. 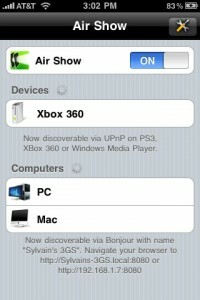 For expert users, you can also browse your photos inside Windows Media Player on Windows Vista or Windows 7.